Just what is found there? In the context of Rue Rilke's juxtaposition of Old and New Worlds, we'll seek to rediscover our country's founding mythos and explore the psychology of the shadow-driven betrayal (or reanimation?) ofthe poetic idea of America unfolding today. Williams, Whitman and other American writers will join Rilke in the conversation. Immediately after finishing his graduate studies, Daniel Polikoff embarked upon a pilgrimage to Europe to visit places important in the life and work of Rainer Maria Rilke. Upon his return, the author—an avid abolitionist—traveled to Texas to involve himself in the effort to stave off an impending execution. 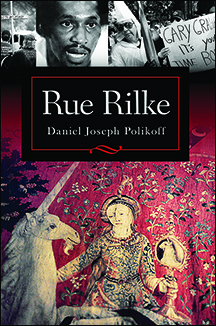 Rue Rilke—travelogue, literary autobiography, and journalist exposé of the mores of capital punishment—chronicles that adventurous summer in poetry and prose, and represents the seed-bed of the author’s subsequent work with Rilke. A medieval tapestry—The Lady and the Unicorn—and an African-American man scheduled for imminent execution in Texas: what is the archetypal connection? It is unusual for a book to be published some twenty-odd years after its writing, but such is the case with Rue Rilke (2016). The author will read from the book and discuss those critical intersections of psyche, poetry, and death penalty politics still so urgently pressing today. Can the intimate linkage of love and death so artfully expressed in Rilke’s life and work help us confront our country’s sanction of lethal violence and our torn, too often black-and- white world? The author will bring these concerns pointedly into the present by way of discussion of the American shadow and its recent dramatic manifestations. DANIEL JOSEPH POLIKOFF is the author of six books including a depth psychological reading of Rilke’s life and work In the Image of Orpheus: Rilke—A Soul History and a new translation of Rilke’s Sonnets to Orpheus. 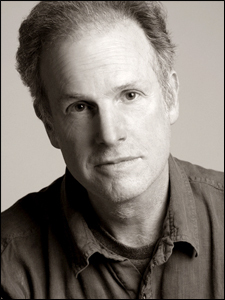 An internationally recognized Rilke scholar as well as an accomplished poet, he has lectured on Rilke in numerous venues in both the United States and Europe.